You’re not familiar with the Dordogne Valley or have heard of it but aren’t yet convinced? You’d like to enjoy beautiful weather, discover new cultural sites, relax for a walk in the countryside and taste the many delicious local products? The Dordogne Valley offers you many fabulous choices! To give you some ideas, here is a small selection of the best activities to do with friends. A change of scenery and a great time are guaranteed! It’s always a pleasant feeling to let yourself be carried along by the river as you enjoy the changing landscapes. It’s also a great way to savor the many castles, rock shelters and other heritage sites from a different angle that enhances their impressive stature. To make sure you get the most out of this activity, choose your route based on your fitness level and motivation. If you are a novice or sports aren’t your cup of tea, opt for a course of ten kilometers that can be done in 1.5 to 2 hours, or half a day if you want to take the time. Routes such as Gluges or Saint-Sozy to Pinsac, Argentat to Brivezac, or Vitrac to Castelnaud-la-Chapelle would be perfect. The more daring and athletic might prefer a day-long or even a several-day route. 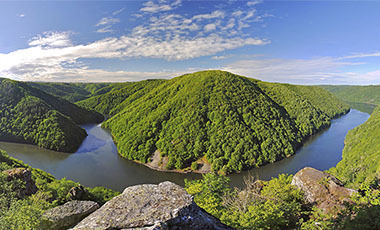 Those who seek wilderness will prefer a route such as Argentat-sur-Dordogne to Beaulieu-sur-Dordogne (22 km, 4 to 5 hours), which mixes wooded landscapes and small rapids, or Vayrac-Pinsac (27 km, about 5 hours), which will take you along imposing cliffs topped with magnificent castles such as Belcastel and La Treyne. The route of Saint-Julien-de-Lampon to Beynac (29 km, about 6 hours) is more suitable for lovers of beautiful stone architecture, wishing to discover some of our “Most Beautiful Villages of France” and our famous medieval castles, such as Castelnaud-la Chapelle and Beynac. If you have the time, take breaks to enjoy a nap after a good picnic on the river shore, or to cool off before setting off again to tackle the river. For nature lovers, it’s worth getting up early to leave at the opening time. 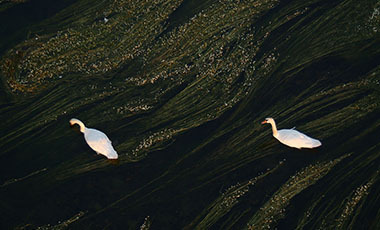 Spring, summer and fall mornings sometimes leave a fine mist on the surface of the river, and it’s not uncommon to see a heron or a kingfisher capturing their prey. Enjoy a pure moment of freedom and adventure. Have you ever walked along streams in the forest and climbed to the top of a waterfall, before descending it on a natural toboggan carried by the rushing water? Are you tempted yet? Well then, an aquatic trek is right up your alley. 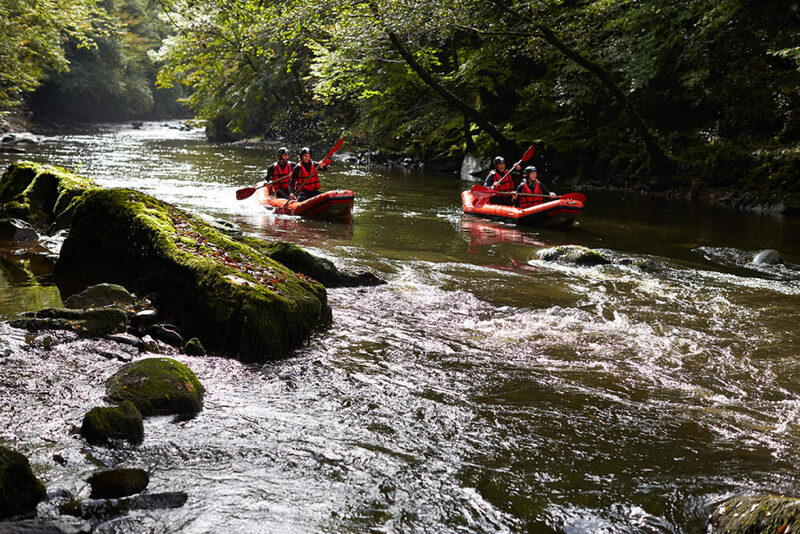 The guides take adventurers off the beaten path to discover the hidden waterfalls of the Dordogne Valley. For beginners, the Cascades de la Vierge trek in Saint-Chamand should please you. The Lamativie Waterfall or Murel Waterfall trails are more complex and technical, but the spectacular scenery is well worth the effort. A minibus departs from the base in Argentat and takes the participants to the starting point, and brings them back once the expedition is over. Helmets and lifejackets are provided by the organizers. Remember to bring proper shoes (your feet will be wet), as well as extra clothes and plenty to drink. During a stay with friends, hiking is a must. 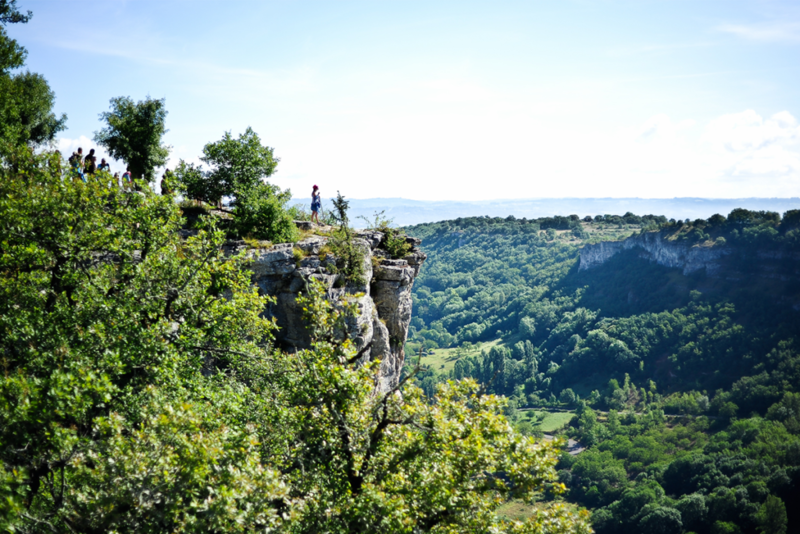 And the Dordogne Valley offers a multitude of possibilities and circuits, on foot, bike or horseback, to refresh your spirit. Lovers of open spaces and wild landscapes can opt for a section of the pedestrian route “Dordogne from Villages to Dams” (La Dordogne de Villages en Barrages). This route of approximately 200 km crosses the small villages and wooded areas that line the gorges of the upper part of the Dordogne Valley. It passes by the most beautiful points of view offering a glimpse of the river below and its large hydroelectric dams. Are you looking for an athletic way to spend a week? Prepare your backpack and shoes and walk the entire trail from Confolent-Port-Dieu to Argentat-sur-Dordogne. A guidebook with a map and description of the sections is available, but only in French. Heritage lovers who would like to combine nature, landscapes and culture will enjoy the trails further downstream, such as the “Earth and Water Trails” (Chemins de Terre et d’Eau) in the Dordogne Valley, which follows in the footsteps of the writer Harrison Barker and crosses the small charming villages that make the destination famous. A guide of the trail is downloadable in pdf format. Whichever you choose, be sure to equip yourself with good walking shoes and plenty of water to keep you hydrated along the way. Are coming to France for the amazing food? Well then, you’ve made the right choice. The Dordogne Valley is a real cornucopia. The good weather allows us to maintain quality local agriculture and enjoy a variety of products throughout the year. And it is, of course, a land of fabulous wines. There are small productions and local appellations, such as the wines of Domme or Branceilles, alongside the better-known appellations, such as the Wines of Bergerac, Pomerol, Sancerre and Fronsac, not to mention the Grands Crus of Saint-Emilion. Many wine chateaus welcome you to discover their vineyards, wineries and cellars. The visit usually ends with a tasting. Could you be tempted by a truly unique tasting experience? How about the “Blind Taste” experience at the Château La Dominique, with its famous red terrace designed by the architect Jean Nouvel? There, you’ll be plunged into the shadows to test your palate with 3 to 4 wines with hidden labels. 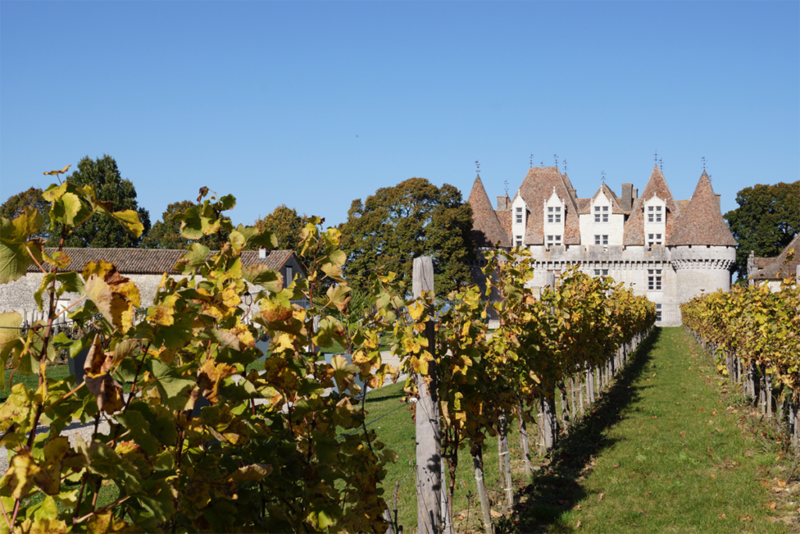 In summer, the Saint-Emilion Wine House also offers blind tastings, or you can opt for a stroll through the vineyards and along the Dordogne River on a Segway or bicycle. After wine, a tour of the local Denoix distilleries in Brive-la-Gaillarde, La Salamandre in Sarlat or Louis Roque in Souillac will introduce you to our local aperitifs, such as walnut wine, ratafia or vielle prune (old plum). And to accompany these good wines and spirits, the market stalls and producers’ shops are filled with the delicious products of the valley. Think Auvergne cheeses, cabécou and Rocamadour cheeses, walnuts, truffles, cepe mushrooms, and ripe red strawberries, to name just a few. An underground excursion to discover the unknown world of caves and chasms is always a good way to take shelter from the heat or the rain while having a great time. In these underground cathedrals, you can imagine yourself in the universe of Tolkien, and may not even be surprised to see an orc emerge in one of the galleries! The largest and most famous chasm in the Dordogne Valley is the Gouffre de Padirac, in the Lot. The visit includes a passage in a boat more than 100 meters underground, following in the footsteps of Edouard Alfred Martel, the adventurer who broke through the secrets of this chasm and opened it to the public in the 19th century. The Gouffre de La Fage, in Noailles near Brive-la-Gaillarde, and the Gouffre de Proumeyssac near Sarlat are smaller but offer a nice overview of the different types of cave concretions, those scintillating and strangely-shaped geological formations of which stalactites and stalagmites are the most famous. The Gouffre de Proumeyssac is also nicknamed the “Crystal Cathedral” because of the impressive number of concretions emerging from its walls. There are many smaller but equally mesmerizing caves to explore as well, with intricate and strangely-shaped concretions. The Grotte de Maxange and its tiny concretions that remind you of lace, or the Grottes de Lacave with its little train, are just a couple among many more. 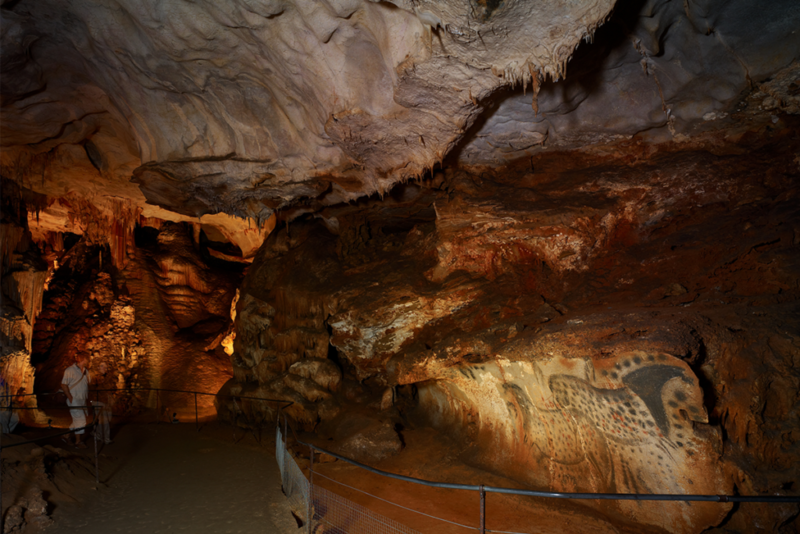 If you’d like to add some stunning and moving prehistoric art into the mix, the Cougnac Caves and Rouffignac Cave are fabulous choices, along with the famous Font de Gaume and many others. And if you’re the adventurous and curious type, you can learn speleology with a guide for an exciting and unforgettable experience. 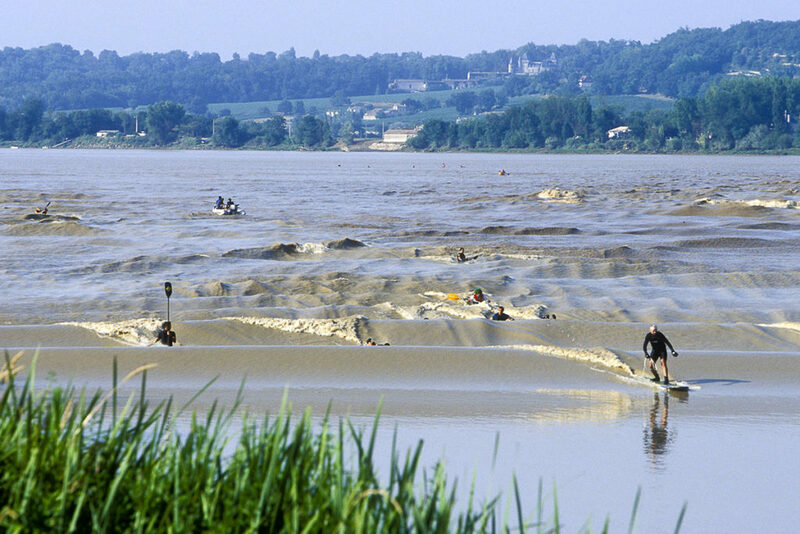 The “tidal bore” is a spectacular natural phenomenon that occurs only in about sixty places in the world, and the Dordogne Valley is one of them! At the port of ​​Saint-Pardon in Vayres in the Gironde, it’s definitely worth checking out. The term “tidal bore” refers to the wave that forms when the tide rises dramatically in the Gironde estuary, and this sea water rushes upriver. When the seawater comes into contact with the river water and its thinner bed, it forms a huge, continuous wave, the “tidal bore”. Riding its momentum is a unique experience for all types of surfing fans! 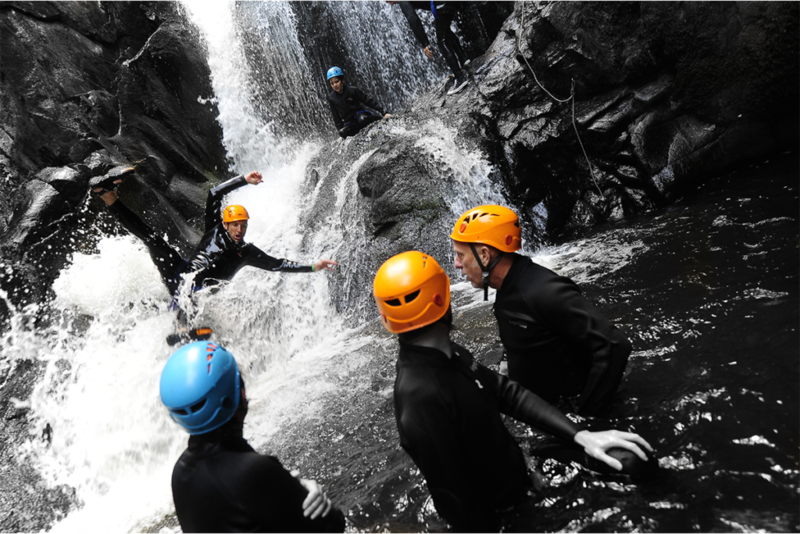 Whatever your thing, surfboarding, canoeing, kayaking, paddling, you can do it on this crazy wave! A calendar with the schedule and coefficients of the tidal bore make it possible to be well-prepared. The best times to surf are in summer and early fall when the coefficients are greater than 90-95. Plan to arrive 30 min before the tide schedule to be sure to have the best spot. Let’s not forget that the Dordogne Valley is a geographic entity with many springs and an estuary. Those of the Dordogne River are located in Puy-de-Sancy in the Massif-Central in Auvergne. From the Corrèze or the Lot, it takes approximately 2 to 2.5 hours by car to reach the mountains, while from Sarlat it takes 2 to 3 hours. Good to know, you can also reach the Lioran station by train in about 2 hours from the station of Saint-Denis-near-Martel in the Lot, which is one hour from Sarlat. 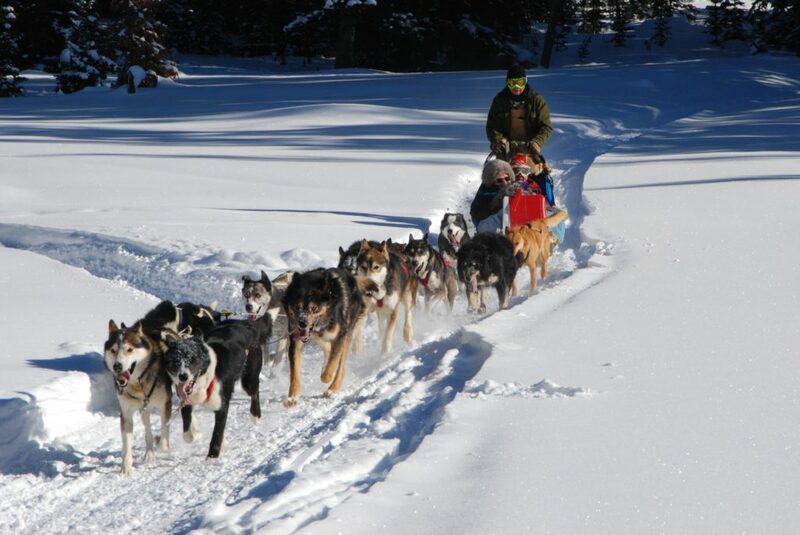 Why not take advantage of your stay to try “mushing” in the mountains. Thrills are guaranteed! Before leaving, the musher presents his dogs and the rules of living and operation of the pack. You then embark on a ride through the forests and mountains. You will even be able to test your own driving skills. Get ready for a true feeling of escape in the heart of breathtaking landscapes where only the sounds of the sled and dogs accompany you. Are you planning to come to the Dordogne Valley in the summer? No worries, the dogs love to run then too, but with no sled this time. You can try cani-hiking, a walk with the dog attached to your waist, or enjoy a cani-scooter ride, on a scooter pulled by one or two dogs. When you were little, you may have dreamed of becoming an archaeologist or paleontologist, like Indiana Jones or Lara Croft. Even if we don’t have a Khmer tomb or an Inca temple, the Dordogne Valley has many of its own spectacular monuments to send you traveling back through the ages. The Dordogne Valley is true time machine! Let’s start with the Middle Ages and its majestic castles that have known many wars but remain very well preserved, such as Castelnaud-la-Chapelle, Beynac or the Château de Val. Their corridors still resound with the heavy steps of armored knights. The Château de Commarque, which was a seigniorial co-owned property, or a sort of collocation of medieval lords, is one more jewel to discover. If you like the world of Lord of the Rings, take a tour of the Tours de Merle, two medieval towers that seem to emerge from the center of the Earth and are surrounded by dense vegetation. The Middle Ages is also well represented by many “bastides,” ancient medieval villages that have kept their typical architecture. The caves of Pech Merle, Font de Gaume and Combarelles, as well as the Cap Blanc rock shelter, are other sites not to be missed. The small villages of the Dordogne Valley are perfect examples of all the charm and authenticity of the region. 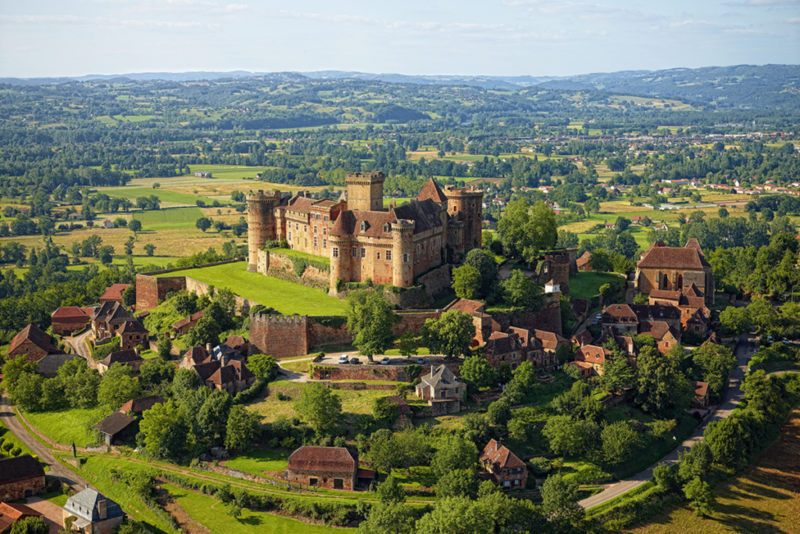 The valley boasts around twenty of the “Most Beautiful Villages of France.” In this beautiful collection, each village is distinct and endearing in its own way. 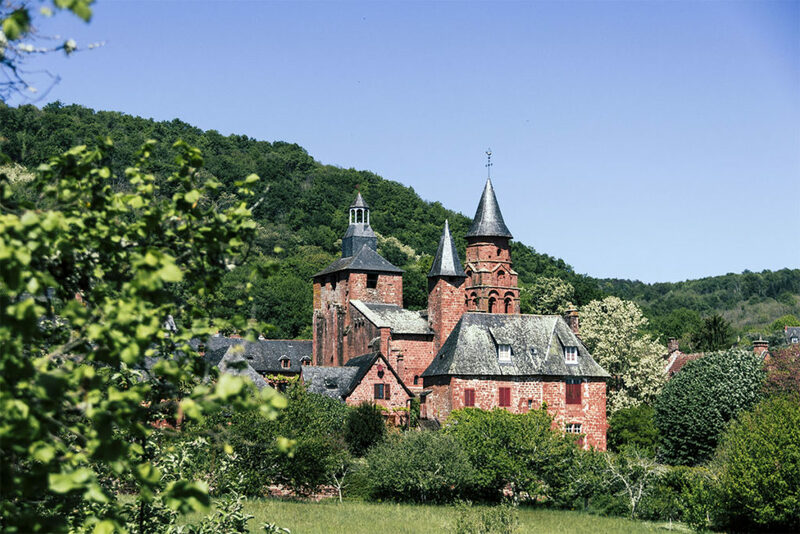 A few examples are Collonges-la-Rouge, and its beautiful red sandstone architecture for which it is named, and Autoire, with its small streets, waterfall and a natural cirque, which are even more beautiful when viewed from above. La Roque-Gageac, built on the banks of the Dordogne River and clinging to the cliff face, seems to be suspended between stone and water. 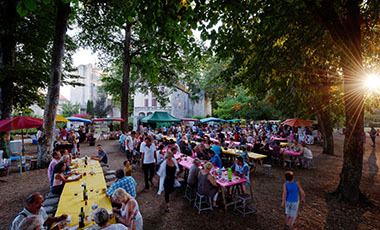 Limeuil is located just at the confluence between the Dordogne and Vézère Rivers, which can be seen from the panoramic gardens at the top of the village. Other villages, even if they don’t have the label “Most Beautiful Villages of France” are certainly worth the detour as well. To name just a few, there is Martel, Rocamadour, and Argentat-on-Dordogne, with its boatmen houses, or Aubazine and its abbey which hosted Coco Chanel when she was a child. In addition to beautiful landscapes and tasty local products, the charm of the French countryside is also its vintage charm. 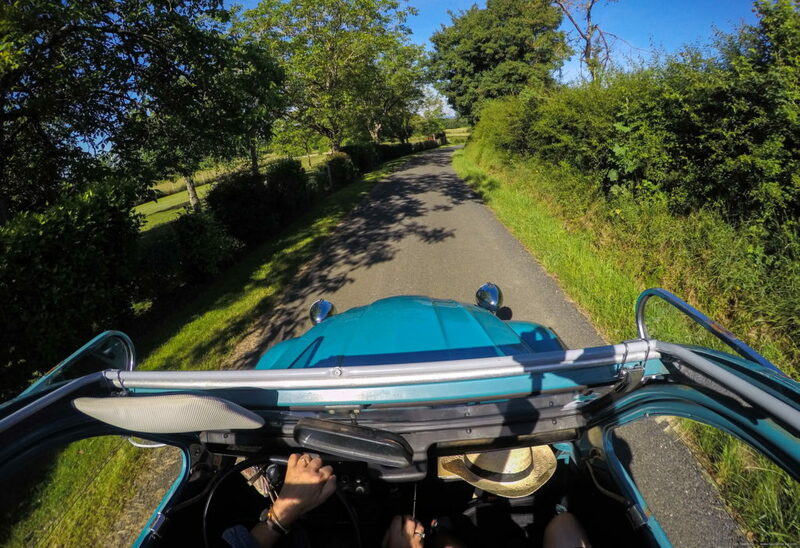 And what’s more vintage than strolling along the small winding roads of the valley in a famous 2CV car (the two-horse power cars also known under the sweet name of “deudeuch”)?! Several rental options exist. With complete freedom to roam, you can rent your car and head off on the roads of the valley to discover its sites, landscapes and villages. With your sunglasses pulled down, let your hair fly in the wind to feel all the sweetness of life offered by the Dordogne Valley. You can also opt for a guided tour commented by an expert of the destination. And here, there is nothing left to do but to let yourself follow the rhythm of the bends and admire the many enchanting views along the way.